Johnston Press’s new boss Ashley Highfield set off a row which will erupt again and again in the coming years when he announced that the company is turning some its daily local papers into weeklies. Local papers are so long-standing and (mostly) loved that we find clear thinking very hard. There is no general, worldwide “crisis” of journalism or even of newspapers. Newspapers are declining in North America and Europe but not in South America; they’re doing fine in Asia (numbers here). There are countries where journalists are badly treated and physically under threat, but that’s not new. The convulsions of the phone-hacking scandal are so far confined to Britain. There is a crisis affecting journalism in the US and Europe, but it is worth being clear-eyed about exactly what it is. It is the ruin of the business model for printed daily papers in which news is cross-subsidised by advertising income which is leveraged on circulation numbers. That way of doing things is in trouble. That decline in circulation and income is a deep, long trend. The lines on the graphs have been drifting down for years. As one of the analysts at the Enders consultancy pointed out (£) in the wake of Johnston Press cutbacks, the circulations of local papers have been going down for 40 years: this is nothing surprising or new. A graph of the total aggregate circulations of all British national papers across the whole of the 20th century shows that the combined sales peak for all of those papers was in the 1940s (see slide 5 here). The internet may have made the headaches of newspaper publishers much worse, but the rot started well before the web was ever thought of. Finding a new way of financing news matters even more than phone-hacking and the Leveson Inquiry. One of the most basic foundation ideas of the newspaper was its separation from the state. Free news media choose to live out in the cold of open economies. When the society, economy or technology changes, the media must change. Digital communications alters all three and turns a lot upside down. Information doesn’t require capital to move; news no longer goes one-to-many but one-to-one; printing isn’t required. And so on. The history of news reveals endless experimentation amid chaos and fast-changing conditions. 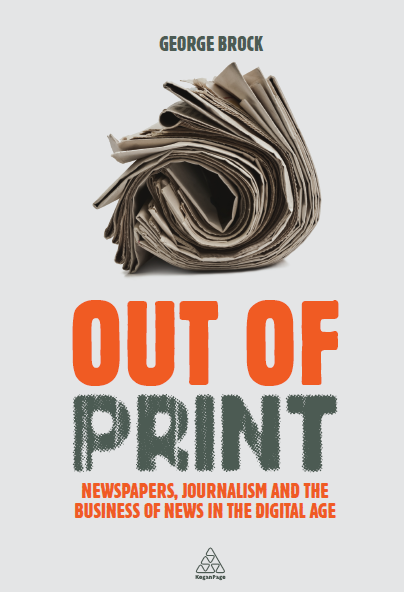 It was only in the second half of the twentieth century that news media in Europe and America enjoyed a stable, institutionalised era which gave journalists the impression that secure employment in large organisations was the norm. Historically, it isn’t. There was a piece last weekend in the Sunday Times magazine (£) which captured the paradox of much gloomy pessimism about newspapers sitting side by side with experimentation. The paper’s writer Tim Rayment assembled many grim statistics recording the falls in circulation, jobs and reach. To illustrate the problems he had gone back to Cleethorpes, the north-eastern town in which he had been a cub reporter. The local paper was having a tough time, to be sure. But Cleethorpes has a new fledgling weekly paper challenging the incumbent and a local news blogger, who annoys and provokes the powers that be in the town. So the risk of decline was there – but so were the seeds of future change. Something is lost in the transition chaos. But new energy is released as well. Update 23.4.12: (lengthy) defence of the value of local papers via a survey of what the major British owners are up to by the knowledgeable Liz Gerard and interview with me about pressures on local papers on BBC Radio 4’s Broadcasting House yesterday (item starts 32 minutes in). This entry was posted on Friday, April 20th, 2012 at 3:01 am	and is filed under Experiments, GB Reviews, Local, Media Economics, UK Press. You can follow any comments to this entry through the RSS 2.0 feed. Both comments and pings are currently closed.